Taglines: An offer you can't refuse. 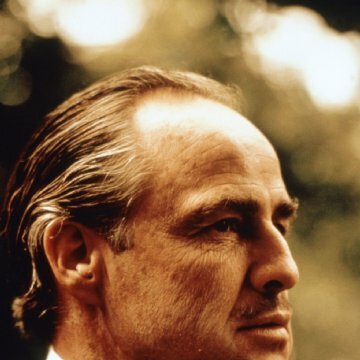 The cat held by Marlon Brando in the opening scene was a stray the actor found while on the lot at Paramount, and was not originally called for in the script. 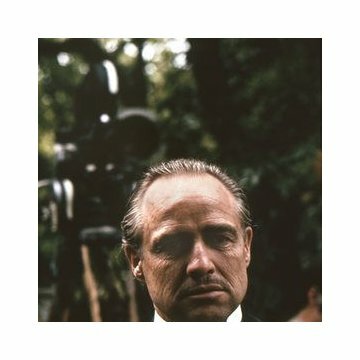 So content was the cat that its purring muffled some of Brando's dialogue, and, as a result, most of his lines had to be looped. Continuity: In the wedding scene, immediately after Kay Adams meets Tom Hagen, the cigarette in her hand disappears and then reappears. Bonasera: I believe in America. America has made my fortune. And I raised my daughter in the American fashion. I gave her freedom but I taught her never to dishonor her family. She found a "boy friend," not an Italian. She went to the movies with him. She stayed out late. I didn't protest. Two months ago he took her for a drive, with another boy friend. They made her drink whiskey and then they tried to take advantage of her. She resisted. She kept her honor. So they beat her. Like an animal. When I went to the hospital her nose was broken. Her jaw was shattered, held together by wire. She couldn't even weep because of the pain. But I wept. Why did I weep? She was the light of my life. A beautiful girl. Now she will never be beautiful again. Bonasera: I went to the police, like a good American. These two boys were brought to trial. The judge sentenced them to three years in prison, and suspended the sentence. Suspended sentence! They went free that very day! I stood in the courtroom like a fool, and those two bastards, they smiled at me. 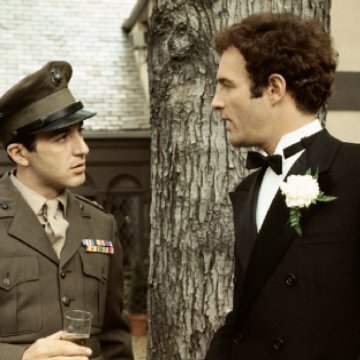 Then I said to my wife, "For justice, we must go to Don Corleone." 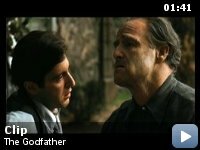 Don Corleone: Why did you go to the police? Why didn't you come to me first? Bonasera: What do you want of me? Tell me anything. But do what I beg you to do. 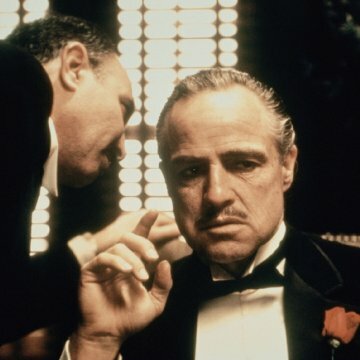 Don Corleone: What is that? 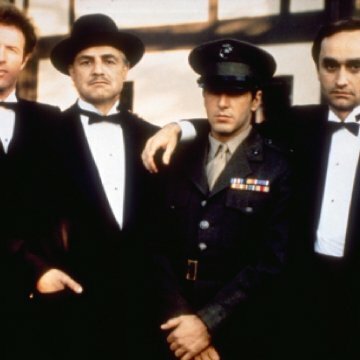 Rather than concentrating on everything that is great about The Godfather, a much easier way for me to judge its quality is on what is bad about it. 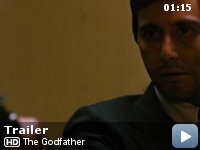 Almost every film has something that I don't like about it, but I can honestly say that I wouldn't change anything about The Godfather. There is nothing weak about it and nothing that stands out as bad. That's why it gets ten out of ten. This is one of those films that made me wonder why I hadn't seen it earlier. 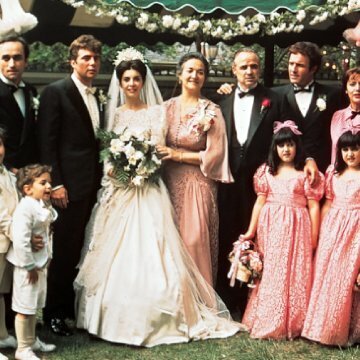 The acting from everyone involved is great, Marlon Brando comes across perfectly as the head of the family, and James Caan and Al Pacino are excellent as his sons. The soundtrack by Nino Rota is also very memorable, bringing back memories of the film every time I hear it. The plot has to be excellent for it to get ten out of ten, and it is, it's far from predictable and the film is the definition of a great epic. The film is pretty shocking in the way every death occurs almost instantaneously, and as it spans ten years so many different things happen and every minute of it is great entertainment. It's a well-made and entertaining film that is only the first part of a trilogy, but it stands on its own as a wonderful film in its own right. 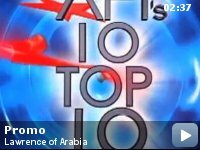 If you haven't seen it, what are you waiting for? This was one acclaimed film that didn't disappoint.